The Woman on the Rose (by G. Maillard Kesslere) is an image we hadn’t seen, but immediately felt attracted to. 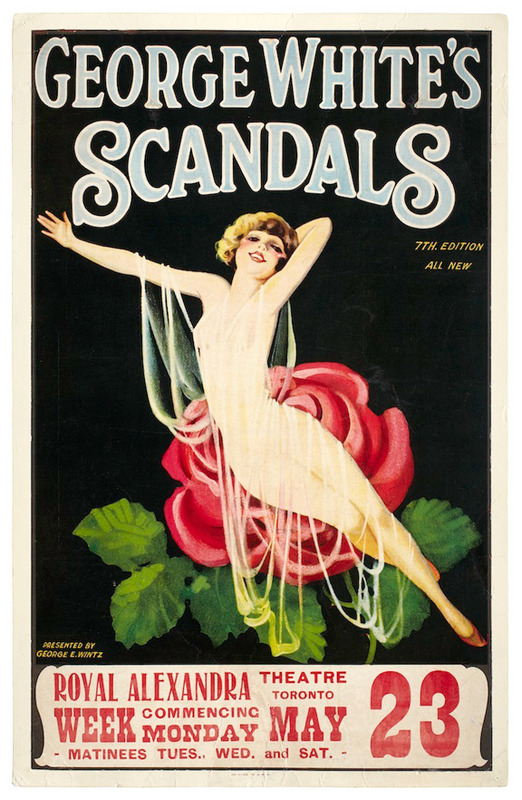 It promotes the 7th edition of the George White Scandals, set to open in Toronto in May of 1925. The poster is lithographed, and printed on 100# stock, measures 18” X 28,” and comes rolled in a poster tube.